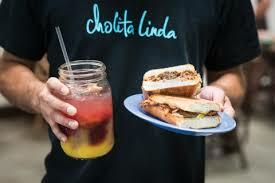 How would you rate your experience with Cholita Linda Tacos ? Vanessa Chavez grew up in Oakland, California, where eating with her multicultural family was a tradition that was not to be broken. After traveling for 7 years to her grandmother’s homeland of Peru and learning cooking skills from her Chinese/Peruvian mother and Cuban/Mexican father, Chavez knew she had to open her own restaurant. The first location was at the local Jack London Square Farmer’s market, but business was so brisk that people were soon lining up around the block. Chavez added other locations at a variety of Farmer’s market’s in the area, but soon people were asking when they would open a more permanent restaurant. Their first brick and mortar restaurant is located in the Temescal area of Oakland, but Chavez says that soon they will need to open a second location. In July 2014, San Francisco Magazine listed the company as having the Best Fish Tacos in the Bay area. The restaurant offers a wide range of interesting tacos and sandwiches, including her grandmothers pulled pork Peruvian tacos and sandwiches, along with fried snapper and plantains, fried tilapia tacos, and spit-roasted chicken. Company headquarters are currently located in Oakland, California. Question 1: What is the phone number for Cholita Linda Tacos? Answer 1: The phone number for Cholita Linda Tacos is (510) 594-7610. Question 2: Who is the CEO of Cholita Linda Tacos? Answer 2: The CEO of Cholita Linda Tacos is Vanessa Chavez. Question 3: Who founded Cholita Linda Tacos? 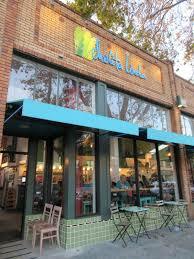 Answer 3: Cholita Linda Tacos was founded by Vanessa Chavez & Murat Sozeri in 2011. Want to make sure Cholita Linda Tacos sees your comment or complaint?